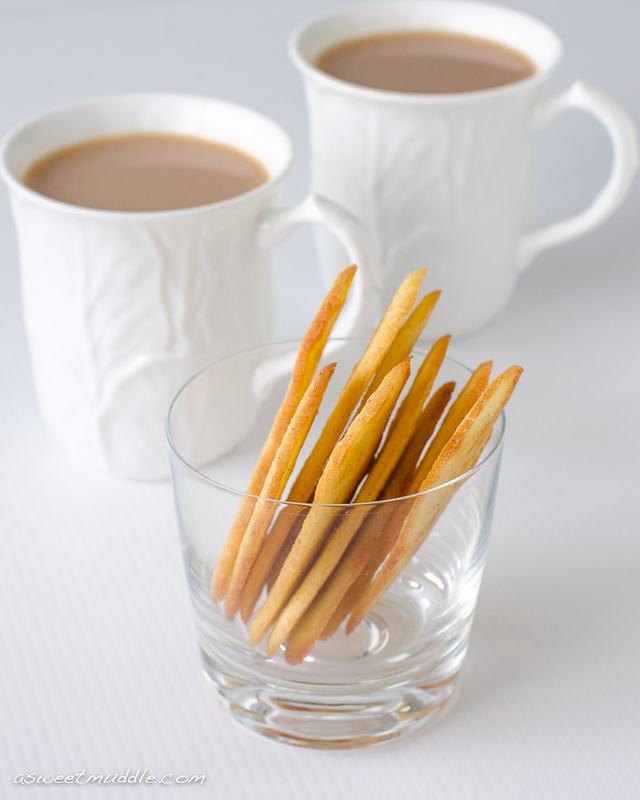 With the festive season well and truly upon us, I thought it would be a good time to share the recipe for these Vanilla thins with you all. Not to be mistaken with the vanilla shortbread version known by the same name, these crispy buttery biscuits are popular throughout France, Italy and Spain, where they’re respectively known as Langues de Chat, Lingue di Gatto and Lenguas de Gato, which simply translates to “cat’s tongue” (on account of their shape which is supposed to resemble their namesake). 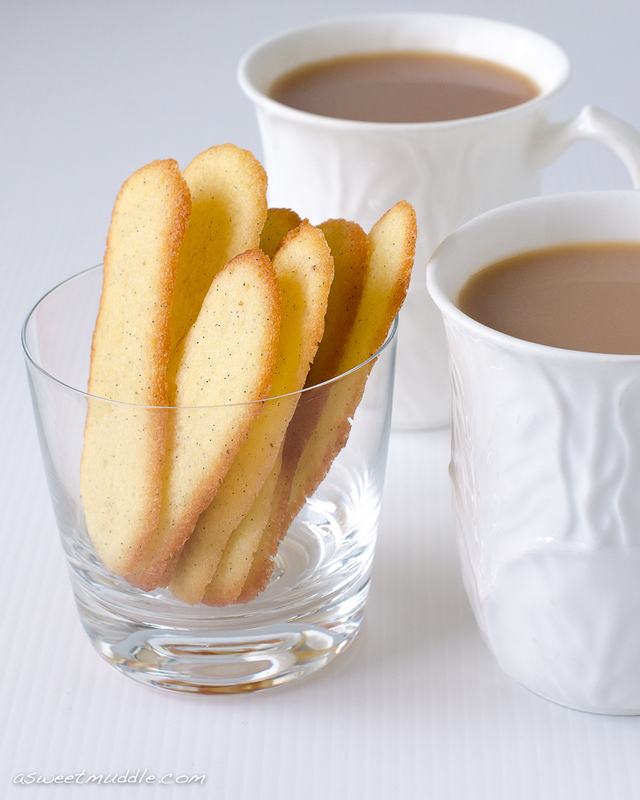 Whatever you’d like to call them, these simple biscuits are easy to whip up for unexpected visitors, are light enough to serve with a cup of tea or coffee before or after a big meal, and have proven to be a real crowd pleaser, which makes them perfect for this time of year. Preheat the oven to 200°C and line two baking trays with baking paper. Using a fork or spatula, combine the sugar and butter together in a medium mixing bowl. Scrape the vanilla seeds from the pod and add to the sugar and butter mixture. Gently stir in the egg white and sifted flour and combine until the mixture is nice and smooth. Transfer the mixture into a piping bag fitted with a 1 cm round nozzle. Pipe 6 cm straight lines of the mixture onto the baking trays, making sure to leave about 5 cm between each biscuit as they will spread when cooking. Place the trays in the oven and bake for about 5 minutes or until the edges begin to brown. Remove from the oven and leave to cool on the trays. I think they’re best eaten on the day, but in the unlikely event you have any left over, be sure you store them in an airtight container. 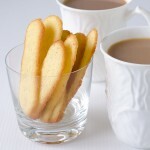 Alternatively you could serve them up for dessert with a scoop of ice-cream or sorbet. Be sure to give them a try!